Celebrating two great men who lived in Olney: the leading 18th Century poet & letter writer William Cowper and his friend, John Newton who wrote the hymn "Amazing Grace". Closes during the winter. There has been a mill on the site even before the Domesday survey in 1086, so a visit is like a step back in time. For centuries, the enormous wheel was turned only by the water of the River Great Ouse. Country Park with rope course, sandpit, narrow guage railway museum and shop. Purpose built art gallery which offers a programme of international contemporary art, both on and offsite. Admisison is free. Offers a chance to step back in time...through a Victorian street of shops, a WWII garden, a barn and farmhouse. Brings history to life. The Charles Rennie Mackintosh House & Galleries, Northampton was the winner of the 2009 Enjoy England Excellence Award for Best Small Visitor Attraction in England. Collections exploring the shoe and boot making history of the region & with an art gallery too. Stoke Bruerne is a lovely place to watch canal boats navigate a flight of locks, walk, cycle or visit the National Waterways Museum. Displays include uniforms, photographs, models, wartime kitchen, bomb train, equipment displays, aviation archaeology and more! 'The museum in the park' is a beautiful Grade 1 listed building with a hammer beam roof in its Tudor hall. There is intricate carved panelling and also an elegant 19thC fashion gallery. 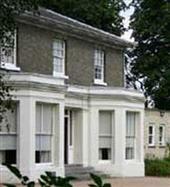 Bedford Museum is situated within the picturesque gardens of Bedford Castle, beside the Great Ouse Embankment. Unearth secrets from prehistoric times & learn of the siege of the castle. The Cecil Higgins Art Gallery is now CLOSED for re-development. Due to re-open in 2010. Follow the life of the author of Pilgrims Progress at the John Bunyan Museum in Bedford. Bunyan was imprisoned for his religious beliefs in Bedford. The once secretive war time code breaking site now offers a unique day out. Some of the brightest and best codebreakers were based here to decode the riddle of Nazi radio messages. A truly beautfiul restored 15th Century timber-framed market hall, now a museum illustrating English life and tradition. See historic aeroplanes spanning 100 years of flight, with 50 historic aeroplanes. A fascinating attraction with a good range of events, including family events. The Centre is a working museum where you can stroll among some giants of the steam age. A hit with Thomas the Tank Engine fans on special "Days out with Thomas". Over 4,000 animals from around the world are displayed in the museum. Imperial War Museum Duxford is Europe's leading aviation museum, with its displays of military and civil aircraft spread over a large area.